William Carpenter was the eldest son of the distinguished portrait painter Margaret Sarah Carpenter and of William Hookham Carpenter, who became Keeper of the Prints and Drawings Department at the British Museum. 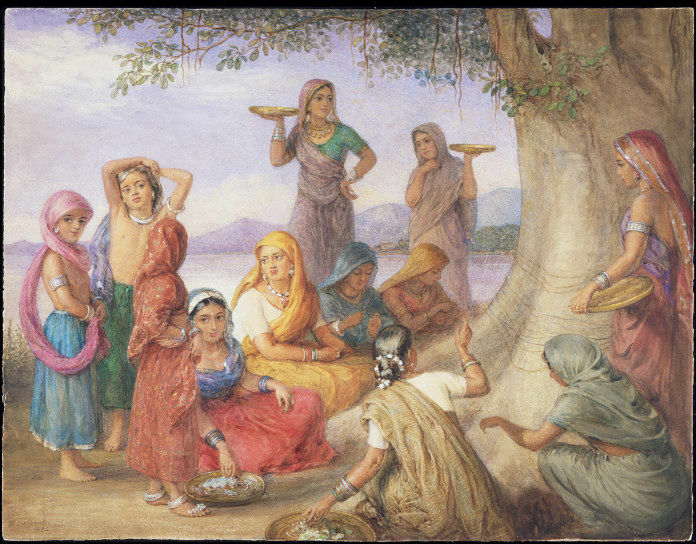 In early 1850 he set off in the footsteps of his younger brother Percy, also an artist, and landed in Bombay. He spent much of his time painting portraits of local rulers and the surrounding countryside, often wearing Indian dress himself. He travelled widely, from Sri Lanka in the south to Kashmir in the north, and he also spent some time in the Punjab and Afghanistan before moving south to Rajasthan. He appears to have returned to England in 1856. Ten years later he was living in Boston, USA, but he moved back to London, where he died in 1899. 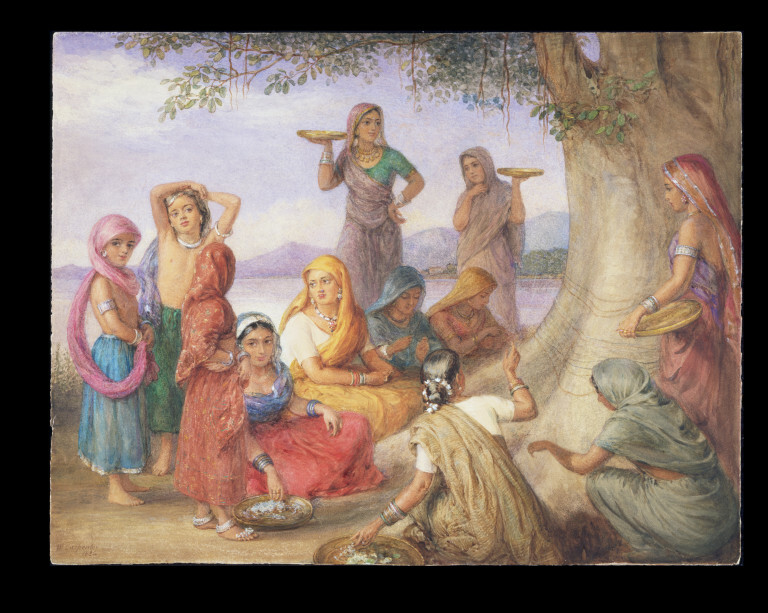 Carpenter's Indian pictures display a particular interest in costume, agriculture, and the day-to-day lives of the local inhabitants. This painting dates from 1884, a few years later than all the other Carpenter pictures in the V&A's collection, and was finished at the artist's London addess, 9 Park Villas, Forest Hill. 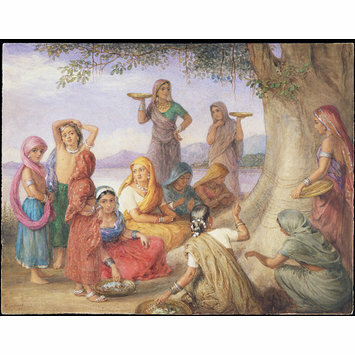 It is entitled 'Tree-worship, Rajputana [Rajasthan]' and depicts a group of twelve women and girls underneath a banyan tree. W Carpenter 1884. | Tree Worship. Rajasthan, India. Wm. Carpenter 9, Park Villas, Forest Hill.